Stock status is current as of 4/23/2019 2:41 AMET. 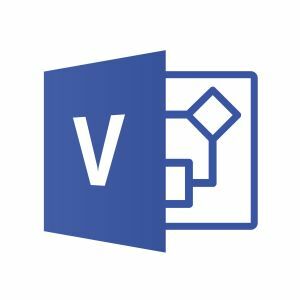 Microsoft Visio Pro for Office 365, available as a subscription through Microsoft Office 365, allows each user to install Visio on up to five PCs running Windows 7 or Windows 8. It also adds Visio On Demand, which lets users temporarily install Visio on any PC running Windows 7 or Windows 8, and it automatically installs the latest updates (both feature and security) for the duration of the subscription.